I went for an interview for HR administrator in one of the organization. There they asked me this question about this show cause notice. They asked when do we issue show cause notice and under what circumstances. Actually I did not understand what does this show cause notice mean? Is it equal to termination? Do we have to spend notice period in company if we are terminated? Re: What do we mean by show cause notice? Is it equal to termination? It is used to maintain the Principal of Natural Injustice in which a person is given a letter to give response to his/her Misconduct against the charges & Misconduct charged against him/her. This case is followed then a person is not working hard , misconducting etc. charges he/she will be given a notice to give preferable reasons against his/her misconduct. Is it is equal to termination?? This not equal to termination at all as it is given to person to give final warning against his charges of misconducted. Termination Letter is given to those who are banned by the company to work any further.It is the final letter given to employee to leave this company for any charges of not following the rules or not taking the work properly. No,show cause and termination are completely to different things.But termination can be a consequence of show cause. Show Cause is basically a order formulated by a court or the management committee of an organization against a person/group of persons who have been found to be guilty of doing something against the interest of organization or breaking any of its rules and it orders those person/persons to give a reason for doing such kind of activity. If the persons/person are unable to give a genuine and satisfactory reason,then the management/court can take action on them which may include termination of job.Termination is ceasing of job,i.e.,one is chucked off from the organization and cannot continue the job anymore.Usually a prior notice is given to the employee/employees before termination of service.There can be many causes of termination,recession is one of the prime cause of it. Show cause notice is given to those who doesn't follows companies principles. It is like a warning to employee for their misconduct in the organization. It is not equal to termination notice. Termination is final notice which forbids him from the organization. He is no longer works with the organization after termination. Hope you got the difference. The show cause notice is issued to an employee when he fails to discharge his/her duty well.It is issued in order to get the explanation from the concerned employee as to why he is not performong his /her duty well or why did it happened in your duty hrs.If the reply is not proper,the suitable discipilinary action is taken by the management against the concerned employee. It orders Associate in Nursing worker to defend or justify the explanation that why Associate in Nursing action should not be taken against him. Same Associate in Nursing action will be taken against the worker relying upon the explanation for the notice. It is wont to maintain the Principal of Natural Injustice during which an individual is given a letter to offer response to his/her Misconduct against the costs & Misconduct charged against him/her. This case is followed then an individual isn't operating exhausting , misconducting etc. charges he/she are going to be given a notice to offer preferred reasons against his/her misconduct. Is it's adequate to termination?? This not adequate to termination in the slightest degree because it is given to person to offer final warning against his charges of misconducted. Termination Letter is given to people who ar illegal by the corporate to figure any longer.It is the ultimate letter given to worker to depart this company for any charges of not following the principles or not taking the work properly. No,show cause and termination ar fully to various things.But termination will be a consequence of show cause. Show Cause is essentially a order developed by a court or the management committee of a corporation against a person/group of persons World Health Organization are found to be guilty of doing one thing against the interest of organization or breaking any of its rules and it orders those person/persons to offer a reason for doing such quite activity. 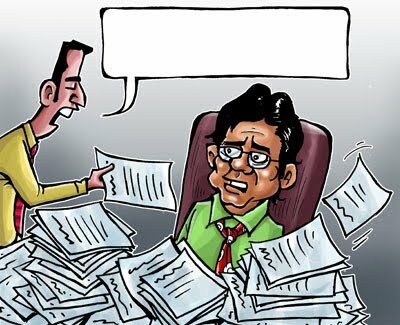 If the persons/person ar unable to offer a real and satisfactory reason,then the management/court will take action on them which can embrace termination of job.Termination is ceasing of job,i.e.,one is chucked far from the organization and can't continue the duty any longer.Usually a previous notice is given to the employee/employees before termination of service.There will be several causes of termination,recession is one in all the prime reason behind it. The show cause notice is issued to Associate in Nursing worker once he fails to discharge his/her duty well.It is issued so as to induce the reason from the involved worker on why he's not performing his /her duty well or why did it happened in your duty hrs.If the reply isn't correct,the suitable disciplinary action is taken by the management against the involved worker. Format of such resume which doesn't show gap of 6 years in BE Chemical Engineering? Do I need to show my employment details in GATE application? Whether the institute will ask for NOC or Relieving Certificate during interview?